Banc De Binary recently got the World Finance Award for being the best platform for options trading in Asia and America. The trading company got the award just a few months after it made it to the 100 List of the World Finance. According to World Finance, the company is the epitome of success. When giving the award to the binary options platform at the London Stock Exchange, a spokesperson for World Finance stated that Banc De Binary has made a name for itself in the area of binary options trading. The company has been successful in driving growth in the market. Despite the banking crisis across the globe, binary options trading has increased. 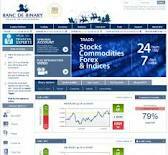 Banc De Binary has become the industry leader in binary options trading. The executive team in the company is dedicated to providing traders innovations in the trading platform. This is possible, as the company has years of experience in financial markets. Investors can calculate the risks quite accurately when they use the trading platform. This enables them to maximize profits. Oren Laurent, the CEO of Banc De Binary expressed his joy on getting the award. He stated that the company is always pushing itself to stay in the lead in the binary options market. According to Laurent, the company is committed to improving its services and developing technology so traders have good tools for trading. The World Finance’s recognition of the company’s achievements will motivate the company to expand its offerings. Banc De Binary currently has a client-base spread in over eighty countries. Its tradable assets are from close to thirty countries. While the company takes steps to improve its offerings for the Asian and American markets where it has made a place for itself, Banc De Binary has set its eyes on increasing its presence in Europe. Recently, the company started a French website. It hired a number of financial experts who can provide customer support in more than ten languages. Laurent is confident that Forex traders based in Europe will take to binary options just as investors across the world have. He stated that in an economic situation that is unstable, trading binary options is a good solution.